The Holy Grail of organisation with a baby seems to be WHAT is in your Nappy Bag ! I myself have a bit off a Mary Poppins style approach with everything bar the kitchen sink being pushed, shoved and squeezed into my poor OiOi Bag.. Im so OVER it and sick of forever having my arm shoved down in to the bag feeling like a blind woman around the bottom for whatever I need, juggling child on hip , watching other child doesn’t wander and wondering where the HELL is IT ???? So I’m on a mission to find what exactly the masters of Organisation would put in their Nappy Bags.. What exactly DO other mums, who seem to have items appear magically from their bag actually put in THEIR bags and I’ve come up with a handy list and to prove I’m not just all Talk , I’ve gone and cleaned out my baby bag and actually followed my own advice … MAGIC !!! Here's a handy checklist of essential items to pack in your nappy bag when you're out and about with your baby. Of course this is just a rough idea and will depend on the amount of children and the ages of the posse you roll with! Mine are a smiley 7 months and a grumbly but gorgeous 5yrs old !! nappies (at least 3) , I like to have them in a sealable Bag such as the Oil Cloth Wetbags we sell as I hate hate hate when they get scrunchy in your bag!! insulated bottle holder (if bottlefeeding) and again Thanks to OiOi for automatically having these with their Nappy bags. a Lolly tin containing chewing gum for mum and a lolly (for said almost 5 year olds) emergency quiet times! some spare change $$$ Just in case you need a few dollars ! 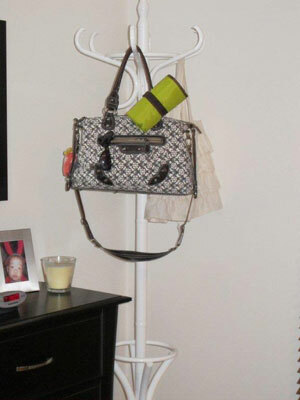 By having this all in a clear bag it’s not just rolling around the bottom of your bag but easily accessible – BRILLANT!!! we ALWAYS have Sophie the Giraffe and something else to fling around. mobile phone (which if you have an iphone can double as a camera AND entertainment unit for the older child - WOOT WOOT!!) otherwise a camera so you can get those impromptu shots! HEY PRESTO! 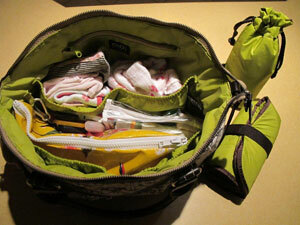 One very organised nappy bag! 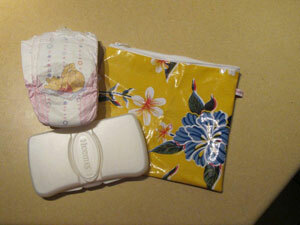 In the car have another little bag containing nappies , nappy sacks change mat , creams and clothes for emergencies. $2-$3 in change in a pocket in the nappy bag, comes in handy when I'm low on change for parking meters . 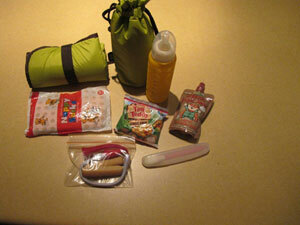 Always carry two wetbags just in case (vomit in the car and/or wet clothes from drinks/water play etc ). 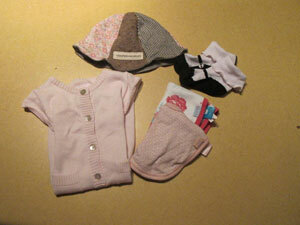 Also carry enough for three nappy changes and two clothes changes usually - mostly for getting wet at playgroup. I also have a couple of snacks in there as well that have a decent shelf life. The lovely Jen from Lovely Living suggests: One thing I have learned is compartments!!! 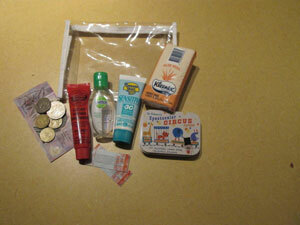 Make up different "packs" you can grab easily from the bag. I have 5 zip bags in my nappy bag - 1 has a nappy change pack for Max including wipes, nappies, small tub of cream and nappy bags. Another has a nappy change kid for Cooper with the same. Another is an "out to lunch" pack which has wipes (heinz sticky fingers ones) a face washer, some plastic cutlery and tissues. The other 2 are outfit changes for both boys. Cooper just has shorts and a shirt and Max has 2 outfits, 2 singlets and sock. Obviously I leave the Cooper packs at home if it's just me and the baby going out. All OiOi bags also come with a 12 month Warranty. 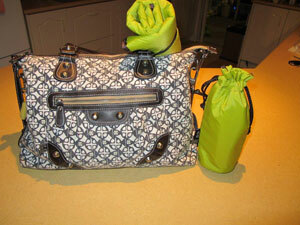 Personally I’m currently using the Safari Medallion Mood Indigo Slouch Tote Diaper Bag and I am so in love with it ! OiOi have donated a Ikat Tribal Slouch Hobo Diaper Bag valued at $69.95 for one of our lucky readers to win !!! 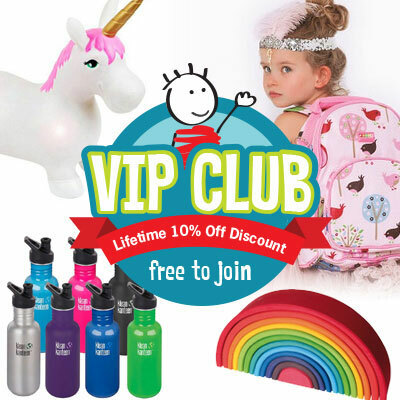 All you need to do to enter is name your favourite feature of the OiOi bag and what your MUST have item for your Nappy Bag is below and we will draw the winner on December 1st 2011. Ok so here’s the rules ..
3. You need to leave a comment under this post as mentioned above. That’s it!!! Nothing more, nothing less. A winner for will be chosen by none other than the wonderful random.org. and will be announced on this Blog by 5pm Thursday 1st December EST.